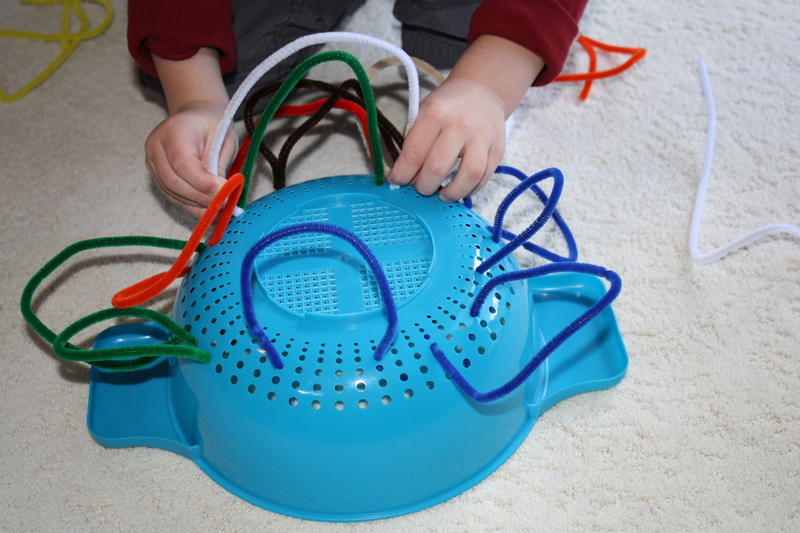 Who knew a plastic strainer from the dollar bin at Target & a handful of pipe cleaners could be so much fun for a 3 year old boy … AND help him work on his fine motor skills without him even knowing it!?! He spent 20 minutes making a rainbow, preparing cereal & herding “snakes” with this fun little activity. I always love activities that are cheap & inspire imagination.